Teachers throughout the country do their best each day to make a positive impact on students. Many deploy unique methods in the classroom. Others keep in touch with pop culture. Some make it a point to teach larger lessons about life. For one veteran DeKalb County School District (DCSD) educator, it involves putting one foot in front of the other—literally. 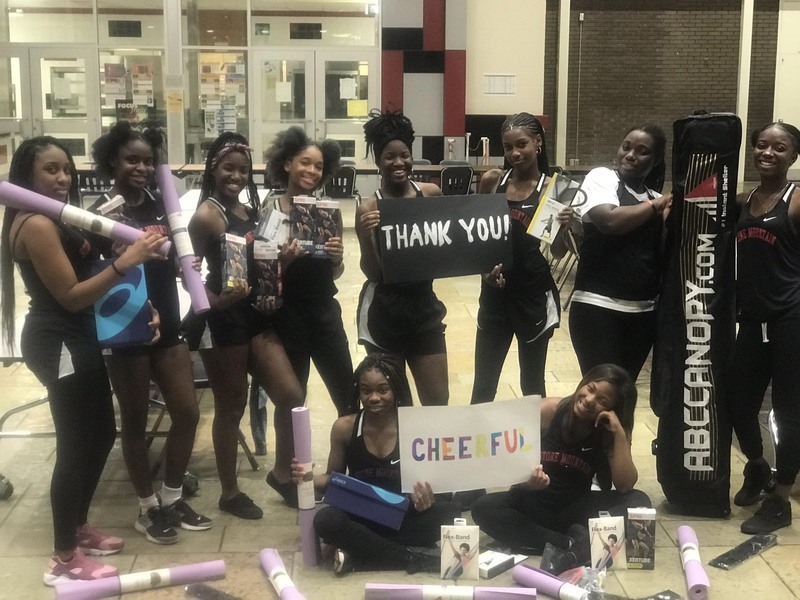 Stone Mountain High School teacher and track coach Janelle Alexander-Sumpter’s efforts both inside and outside the classroom were recently noticed in high regard within her school community. Alexander-Sumpter is both humbled and excited by being noticed by a fellow educator. She called the news both wonderful and exciting. She can also relate to finding inspiration in a coworker. For Alexander-Sumpter, a 27-year DCSD educator who now specializes in MOID (Moderately Intellectually Disabled) exceptional education, being a teacher may be a family tradition—her mother was an educator, and her daughter just began teaching at Freedom Middle—but it was a coworker at the Rehab Institute of Pittsburg in Pennsylvania that inspired her to pursue the career field. Being a MOID teacher, Alexander-Sumpter witnesses how children learn across the board. Some students are visual, others are better at hearing instruction, and some require more specificity than others. Regardless, she remains convinced that all students can learn with the correct approach—some just require something different. “If you know and believe that, you can teach anything to anyone,” Alexander-Sumpter said. Three years ago, Alexander-Sumpter took that philosophy with her to Stone Mountain’s girls track and field team. Being an avid runner and fitness practitioner, she was approached by a colleague when the assistant coach position opened up. When the head coach eventually departed the team, Alexander-Sumpter decided to take that on, too. While she admits the experience has been challenging, she enjoys the excitement of competition, getting to know her team, and being able to make a positive, lasting impact on each student’s life. Last year, she was able to secure a student’s trip to college through a track-specific scholarship. 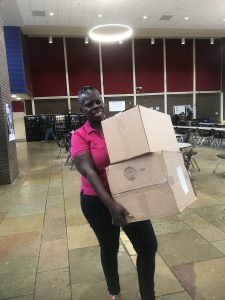 Alexander-Sumpter has also helped students study for the SAT and ACT, fill out college applications, and provided help with any other issues that occur. Alexander-Sumpter admits that she is still learning how to navigate the realm of coaching, especially when it comes to interacting with other high school coaches. She is quick to mention that some coaches are more difficult than others when it comes to granting mutual respect. Regardless, Alexander-Sumpter is confident in her ability to continue to make a long-lasting impact. She has already obtained more than $8,000 in grants on behalf of her team for equipment and uniforms. The Stone Mountain educator is fully committed to being “that coach” who makes a difference in a student’s life. For more information on Stone Mountain High School, as well as the Stone Mountain High track and field team, visit the school website.